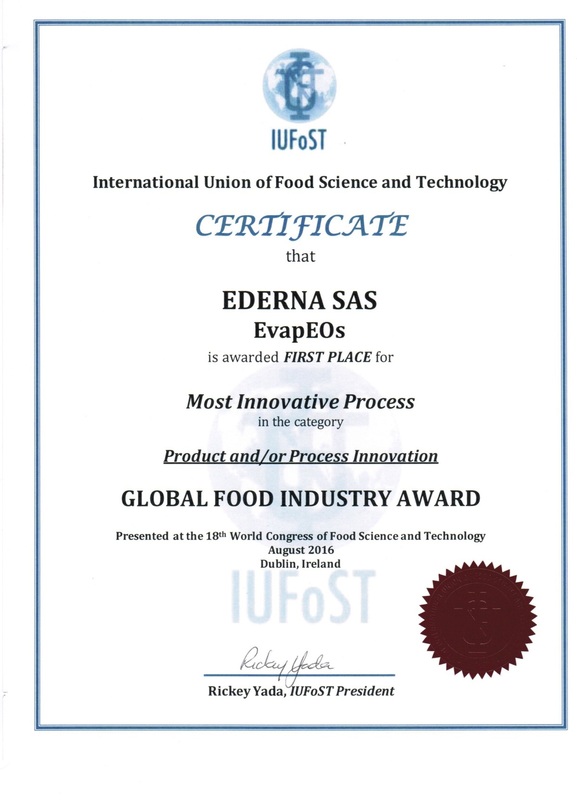 On August 23rd, during the 18th World Congress of Food Science and Technology, occurred the IUFoST 2016 Global Food Industry Awards. This award showcases the creative work of food innovators in the areas of packaging design, nutrition, enterprise, food safety and products. EDERNA is proud to announce its prizewinner position in the category: "Best Process Innovation".